No images of Velocity Solar Installations. Velocity Solar is a Solar Power Installation company that serves Geelong, Bellarine Peninsula, The Surf Coast, Colac and South West Victoria. Velocity Solar installed a high quality PV system to our house at a competitive price and so far we cannot fault it. From the beginning Brad and Paul were honest, the communication was great and were able to answer all of our questions. The installation process with Velocity Solar was trouble free with the guys turning up on the day as promised, were polite and cheery and the workmanship was great. The tiles were trimmed neatly, the Radiant racking system was of top quality, trimmed off against the panels so there was no ugly overhang and no shortcuts were taken even when the guys discovered the steel frame trusses in our roof were at a greater spacing thus requiring additional brackets to be sent from an hour away. The invertor was installed in the garage, the meter was rewired to make it safer, safety stickers were installed, all wiring was concealed with none visible from the outside and protective covers were installed over isolator switches. Still waiting to schedule in the install date  but so far we are happy, we have purchased a high quality 5kw system for around $6.5K when the "door knockers" who represented the bulk-buy scheme had quoted us $12K for a lesser quality system. Overall very happy we used your service and not the "door-knockers"...!!! Fantastic team for installation. Started at 8 am and gone by 2.30 pm! They worked really well and were very cheerful and polite. The inspection took a while to come through. And it's been a month and I'm still waiting for my energy retailer to get the paper work sorted. That means I'm still not getting paid for all the electricity being generated and going back into the grid. Very hard to choose between Velocity Solar and Geelong Solar. Price was similar. Information from both companies was great and they both answered all my questions. Now waiting for the inspection and the interaction with the retailer companies for the best price part! A lot of information to sort through. I felt the other 2 were very helpful but I didn't think their panels/inverters may have been top quality. 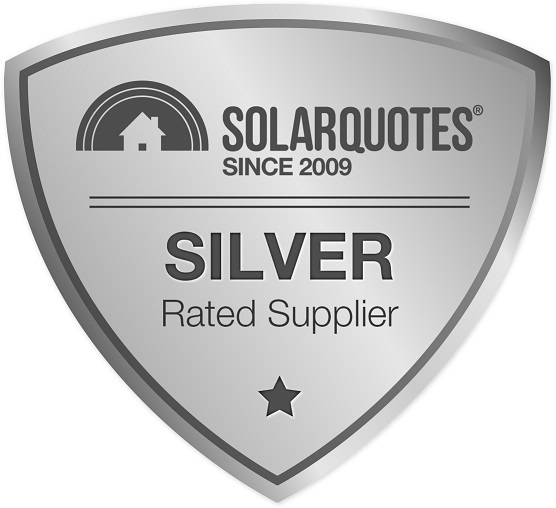 ( after reading your website reviews) Velocity Solar were installing the better range of panels/inverters. I think Velocity may have been one of YOUR quotes. Can't remember as I received 7 different quotes all up and a lot of information I had to process. Your website contained a lot of good information. Brad Otte has given me the best customer service experience in many a long year. From sales, installation, follow up and queries, the process was flawless. Installation was done in one day!! After installation, he sat with me and explained the whole system (in my language) with much patience. Several weeks later my Internet was upgraded to cable and the system needed to be re configured. Brad was amazingly generous with his time and did it for free. Not being IT savey this was a godsend. Would I recommend Velocity Solar to friends, relatives and anyone looking at solar installation?.....Hell Yes. Brad was able to provide a service that I would expect from anyone that I purchase a product from, especially when i am spending thousands of my hard earned. Sadly this level of service appears to be poorly lacking in the building industry in general. Highly recommend Velocity Solar. Hi Finn, Thanks for an informative service. Found this website useful even after having done my own research. 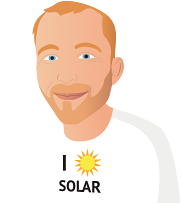 Brad Ott at Velocity Solar answered all of many questions and provided a solution which best utilised my limited roof space and offset my power consumption as required during different times of the day. Delivered an on- time installation at a great price. Well done Finn and Brad.